We have a mix of Lionhead x mini lop rabbits for sale: Black with white collar and toes. 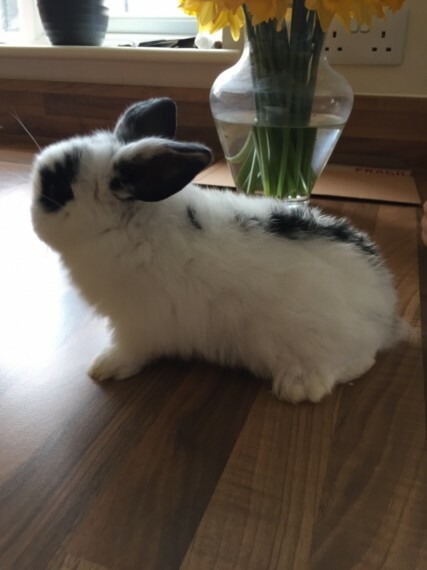 Loppy ears - buck (boy) - 30 Black and white with blue eyes - buck (boy) - 25 Black and white with brown eyes - for (girl) - 25 Brown Lionhead mother also available for 15 15 non refundable deposit secures your choice. Viewing welcome in Chesterfield. Please message or call if you have any questions.